Ancient Sperm « Nothing in Biology Makes Sense! Normally, sperm does not fossilize. They tend to not live very long and have delicate structures. However, in Antartica scientists have recently uncovered a fossilized worm cocoon. Entrapped in the walls of the cocoon? Sperm. 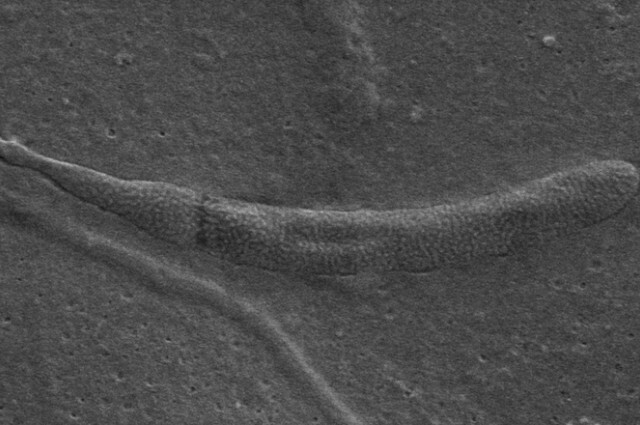 Importantly it is the oldest known sperm in the world. As in, 10 million years older than then next oldest known fossil of sperm. Read the paper, published in Biology Letters. Or read about it in the Guardian here.